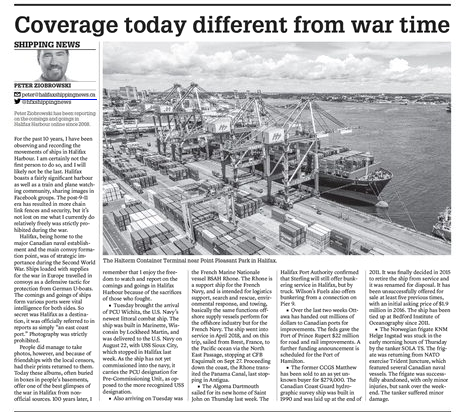 in this weeks column, I reflect on the war, and this whole writing about the comings and goings in the harbour, and how that was restricted by the censors during the war.. 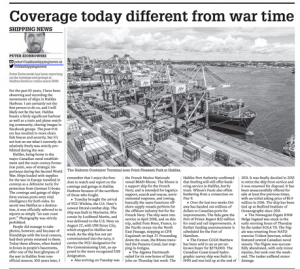 I also cover some recent happenings in the Harbour. This entry was posted in Herald Column on November 14, 2018 by Peter.